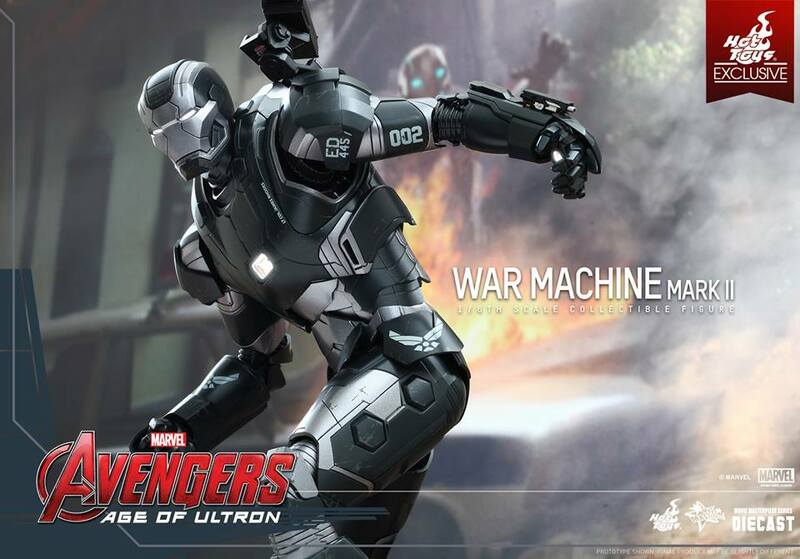 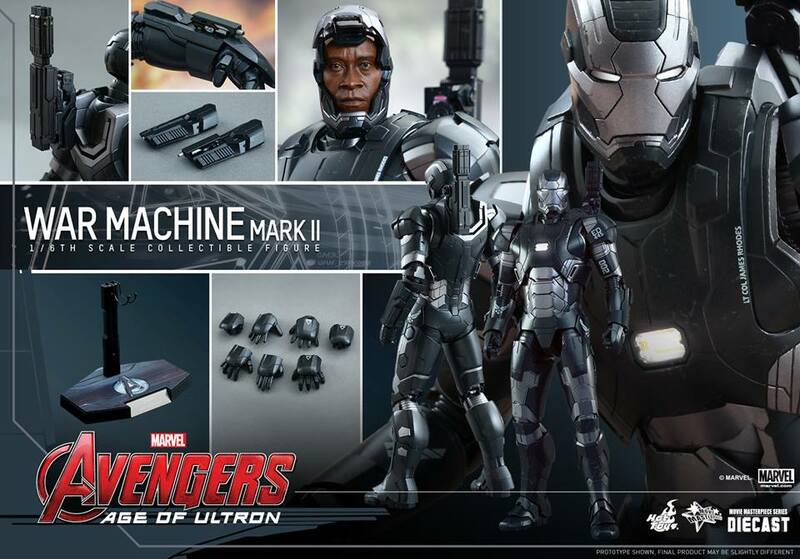 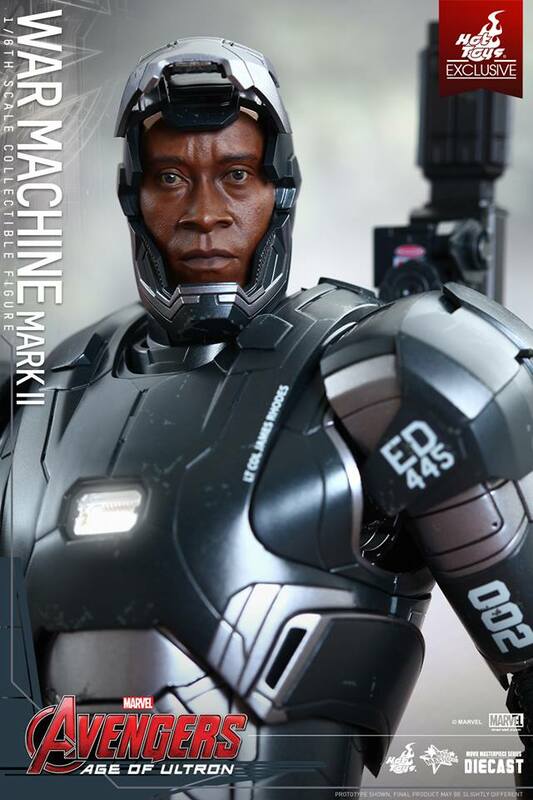 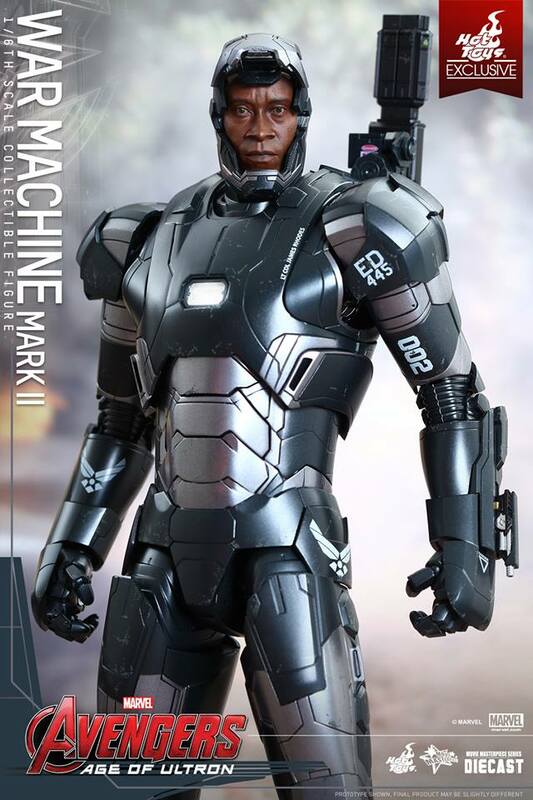 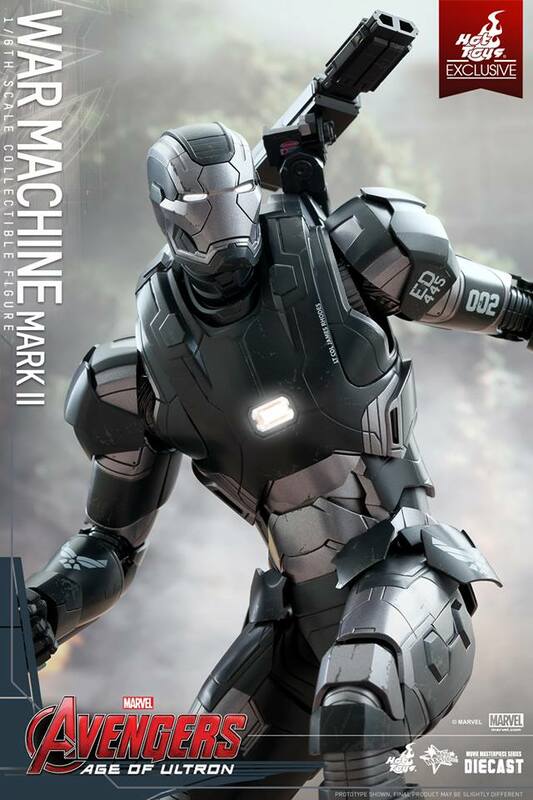 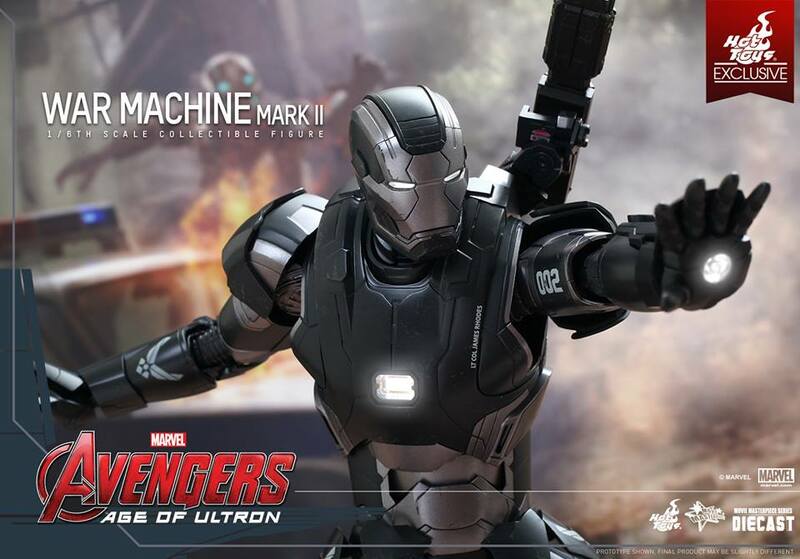 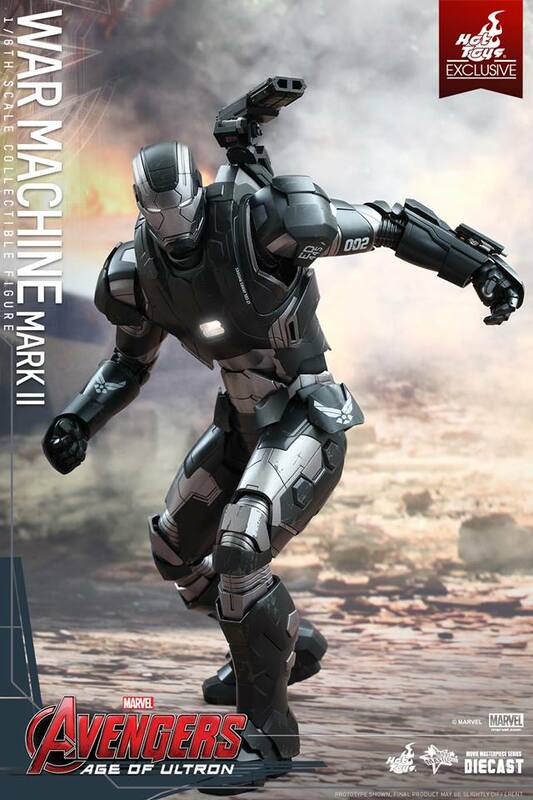 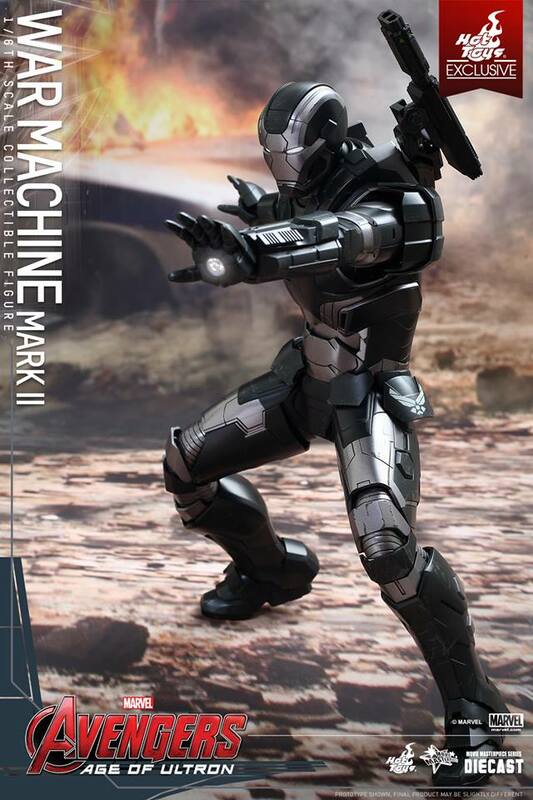 The movie-accurate War Machine Mark II Collectible Figure is crafted with great details and based on the image of Don Cheadle as James Rhodes/War Machine Mark II in Avengers: Age of Ultron. 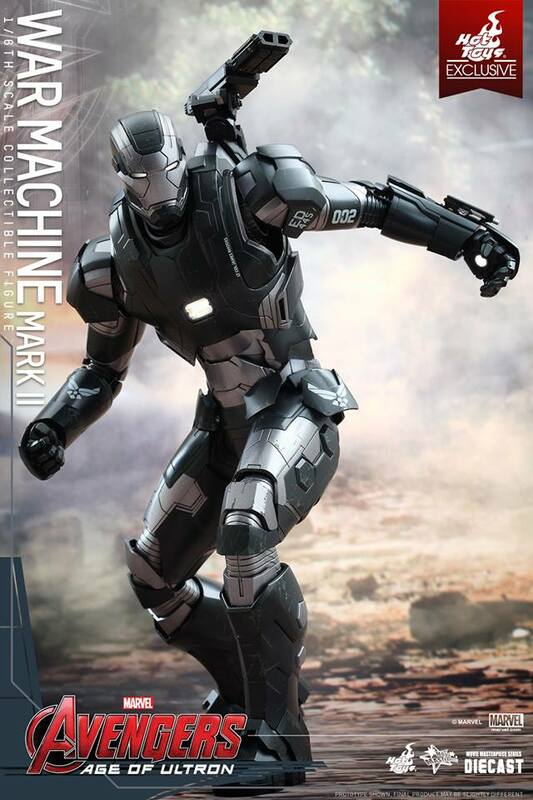 It features a highly detailed head sculpt, metallic black and dark silver colored armor with decals, LED light-up functions, rotatable machine gun, and a specially designed Avengers: Age of Ultron figure stand. 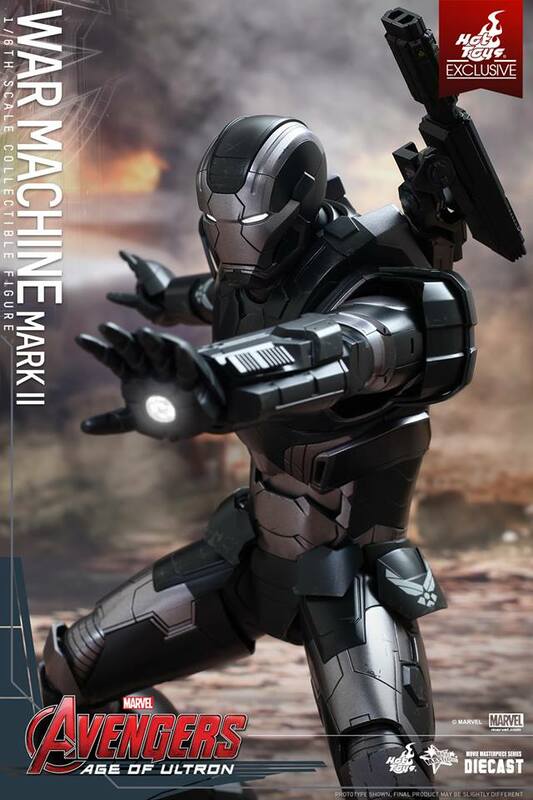 Gear yourself up for this super exciting film and expand your Avengers: Age of Ultron collection with this diecast collectible figure as “War Machine rocks”. 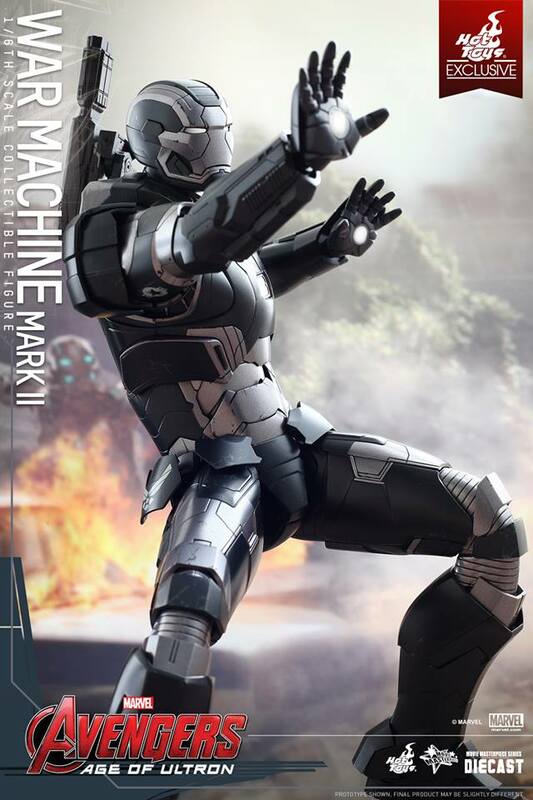 Scheduled for release between second and third quarter 2015.